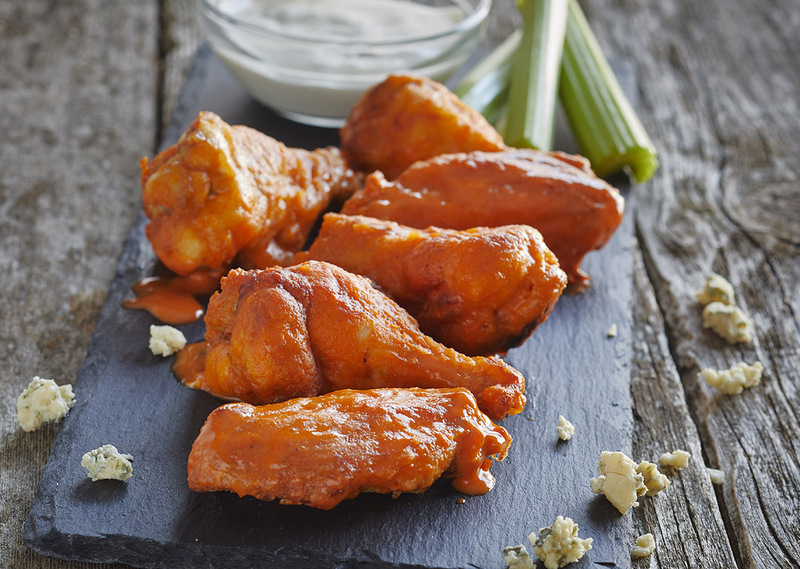 Turn up the Heat: Spicy buffalo sauce coats battered chicken wings for an at home, better for you, game day snack. Pour the flour, cayenne and garlic powder into a zip top bag. Place the chicken wings in the bag and close the bag. Shake to coat the chicken wings. Place wings in the drum and fit the lid on top. Insert into the bowl. 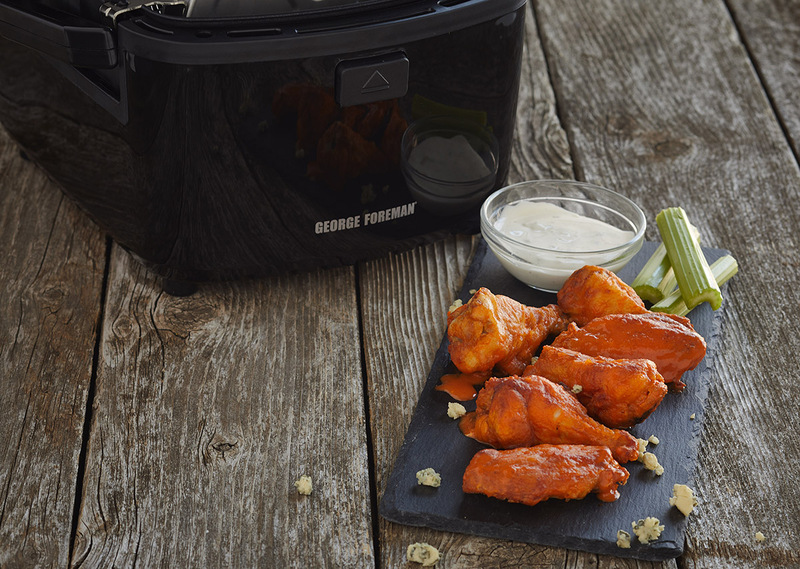 Tap the air fry button and set temperature to 425°F and fry for 30 minutes. Meanwhile, in a large bowl, mix together buffalo sauce, melted butter, buttermilk and salt and pepper. Toss cooked chicken wings in buffalo sauce mixture. Lightly shake off any excess buffalo sauce. Serve hot with ranch dipping sauce and celery sticks.